Today, trademark distinction is not enough without URLs and nomenclature. Problem: The entrepreneur/owner of the HVAC company to the left came to us with the need for a logo to depict his new business, which was to specialize in applied geothermal heating and solar energy. Initially he had thought to name his company with a generic name, something like "Geothermal Specialists," without checking the availability of URLs which would position his company on the internet. No good URLs were available using common names. Solution: So we suggested creating a new name, which would not only describe the company's services, but would also allow ownership of the entire family of URLs. The term "GEOSOLICE" was coined, along with the tag line, "Health, Value And Comfort," (HVAC). Owning both the trademark and the URL family offered an exponential value to the company's subsequent inbound marketing. A trademark infringement can be resolved with no loss of equity. 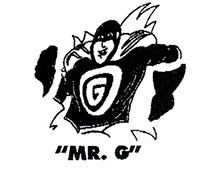 Problem: Salisbury Glass Company had been using the mascot "Mr. Goodglass" for ten years without realizing that it infringed the well known trademark "Mr. Goodwrench." Both companies were in the auto repair business, so the names overlapped in the same goods and services classification. A cease and desist order from General Motors legal department sent the owner to MINT Design, but threatened the loss of a million dollars of advertising equity developed over the last ten years. Approach: A name needed to be created that Salisbury Glass company could register as a service mark and own as URLs, but without sacrificing market equity from ten years of advertising. By simply dropping the "od" from "Goodglass," Mr. Go-Glass was created, offering retention of equity, an exclusive trademark, a unique URL family, and the key benefit embodied in the name, GO standing for "Fast" auto glass repair. A trademarked brand is the key to a successful franchise. Problem: Aromas World is a fabulously successful fresh cafe in Colonial Williamsburg. At one point, it's owners considered the merit of expanding the success from a two store chain to a national franchise. But existing registered trademarks using the name Aromas numbered in the hundreds in the USPTO. Yet a franchise would be dependent on a brand that positioned the company uniquely in an interstate market. Approach: Without the availability of a name change, the best option open was to apply a new, distinct and highly salable trademark to the existing success of the originating business. The criteria definition called for a trademark icon that would relate uniquely to the name, and also be applicable to an exclusive line of products bearing the same brand. Result: Currently in progress, pending a range of implementation factors, the new brand concept positions the company for franchising with distinct advantages over the original graphic depictions. Problem: When the name MINT Design was originally coined for our company in 1990, there were no other MINTdesigns in the world. Being in the business, we established the company, and then registered the name with the USPTO as an active trademark, where it is still registered and active today. In the pre-web era, we didn't anticipate the relationship between trademarks and URLs. Around ten years later, companies using that name started popping up all over the world, since we didn't foresee the need, in 1995, to own a URL name set. Since then, still more small-time copycats in the US emerged. What we find astonishing is that these companies are supposedly specializing in branding and original graphic design, and yet they are willing to betray their very reason for being, naming their own companies with a knocked off name. Approach: Until we knew the disadvantage of name farming to SEO, we intended to open a full array of websites using a new family of names, all bearing the mint brand, but with no particular new distinction. Since then a better solution has been secured. We coined the wordmark "Mintensity," (standing for "Intense, Original Branding," which allows us to market from the equity developed over 25 years of brand usage, but adds to that the originality, uniqueness, URL propriety ,and distinct, inbound marketing advantage in the new name extension and trademark. Result: Currently in progress, pending a range of implementation factors, the name MINTENSITY secures ownership on all levels, having been used in interstate commerce, appearing in social media, all associated URLs owned exclusively by MINTdesign. 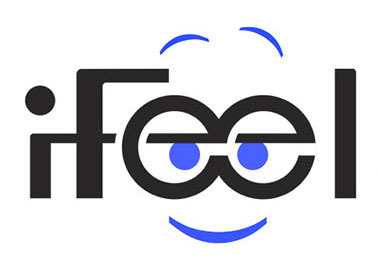 Problem: iFeel is an original brand name coined by MINT Design to capitalize on emotions energized by rapidly changing ideologies and technologies. Who doesn't have a range of emotions about that?!? As such, it wasn't any time after introducing the idea on the Internet that people started indiscriminately using the name for their own commercial purposes. Even though we secured a substantial URL set, within four months, several social and eCommerce sites began to emerge, using the name. Approach: We secured a federally registered inernet service mark for the name. After a year, when the mark was registered as active, we implemented a notification process to the site hosts, which in turn shut down infringing sites. Result: Currently in progress, pending a range of implementation factors, iFeel is laying the foundation for a set of future commercial partnering objectives, where the iFeel brand will foster the relationship between branding, feeling, creating and selling. You can add exponential recognition and retention to your brand with names. Eighty percent of what people learn is through their eyes. Market perception is conveyed from what people both see and hear. Pictures and words shorthand those messages. A corporate identity with a nomenclature system of creative, cohesive names utilizes a major opportunity to communicate in a way that enhances recognition and retention exponentially. © COPYRIGHT, MINTDESIGN INC, 2015 • ALL RIGHTS RESERVED.